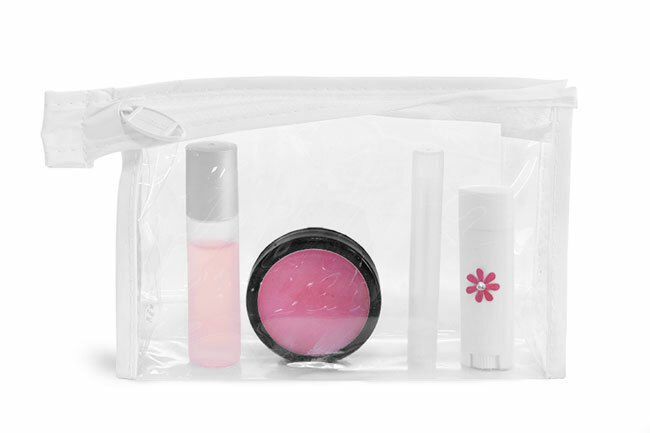 This clear vinyl travel bag with white trim is a unique approach to packaging your lip balm containers. With the easily accessible white nylon zipper, you are able to get to your lip balm products in no time or keep them safely enclosed. Pick a couple of your most popular lip balm flavors and package them in a clear vinyl bag to offer your customers a fun lip balm accessory! (Contents not included).